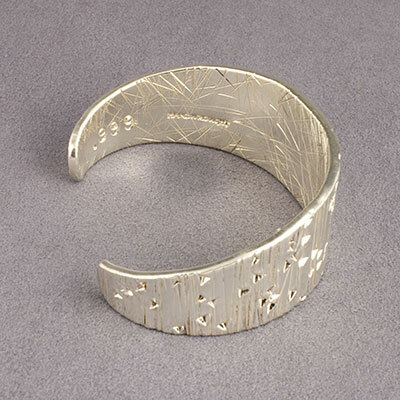 This impressive cuff was purchased directly from the artist at the Heye Indian Market in NYC in 2008. 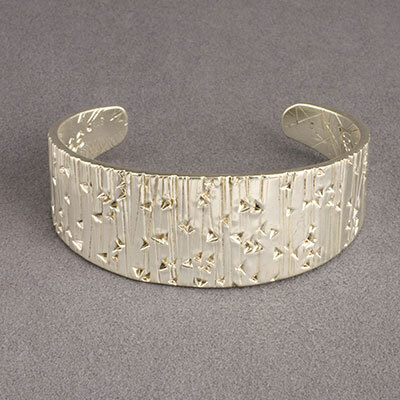 It has a whimsical random stamped pattern on the top surface of triangles and vertical lines, with a very random stamped pattern of lines on the interior. 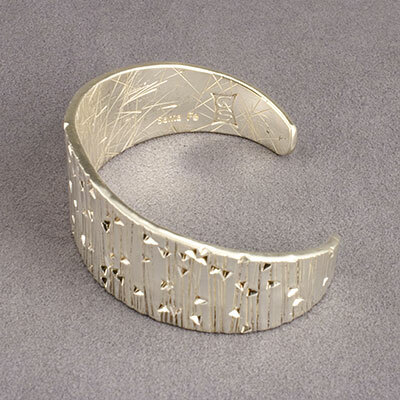 He doesn't often work in fine silver, and this is an exceptional piece by a gifted young Navajo artist.